On March 31, 17-year-old Subhash (name changed) from Dangoli village in Una district of Himachal Pradesh, died due to over dose of Chitta (Heroin). People in the locality strongly protested against the death, increasing cases of narcotics trade and inaction of the police against the culprits in the area. Few months earlier a youth in Haroli had also lost his life due to the same reason. In the last one year, at least four people have died due to the intake of narcotics in the state. Himachal Pradesh has the third highest rate of cases in the country under Narcotics Drug and Psychotropic Substances (NDPS) Act, according to the recent report of National Crime Record Bureau (NCRB). Only 310 cases reported in 2003 under NDPS were registered in the state. In 2014 ,the number reached 644. 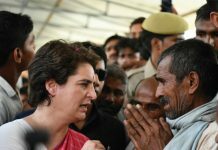 But the latest report of NCRB reveals that Himachal Pradesh, is now on third spot, with the total number of incidents per lakh population accounting for 13.1, with a total of 929 cases reported in the cognizable crimes under Special and Local Laws (SLL) crimes in NDPS Act 1985. A report by the “Himachal Watcher”, an NGO, said that NDPS cases in Himachal tripled in last 10 years. The report said that “in Himachal Pradesh, the growing narcotics menace has taken over a large number of youths in Kullu, Manali, Mandi and Shimla. The narcotics trade is assuming a horrific shape in Kullu where large numbers of tourists, mostly Israelis, pour in every year. This has inspired local farmers to clandestinely cultivate illegal poppy or cannabis crops to earn quick bucks”. According to Tehelka investigation, Manali, Kasol, Malana in Kullu districts are still the epicentre of narcotics trade. 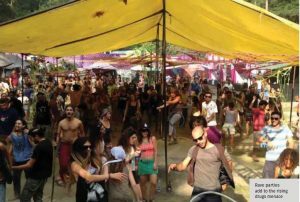 Rave parties are held in and around Malana by foreign nationals and local residents. Even there have been allegations that few of the foreign nationals are illegally (without valid permission from the government of India) staying in Malana area and they are involved in the drug trade with the help of locals. In the past seven years, over 82 foreign nationals, mainly Britons, Israelis, Dutch, Germans, Japanese and Italians, have been arrested under the Narcotic Drugs and Psychotropic Substances (NDPS) Act in the state. 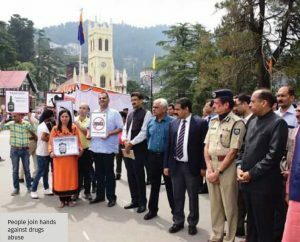 Quoting a study by the Indira Gandhi Medical College and Hospital (IGMC), Shimla, a judgment by a Himachal Pradesh High Court Bench headed by Justice Rajiv Sharma had observed 40 per cent youth in the state are involved in drug abuse. Himachal High Court had recently pulled up the state functionaries on the issue and said that the destruction campaign was mere on papers after the state DGP had submitted in the court that around 400 villages in the state are affected with illegal cultivation of cannabis. The DGP had told the court that under the campaign huge number of cannabis plants are destroyed by the police with the help of locals. The state government records show that there are 51,500 acres in Kullu Valley alone where cannabis is cultivated. Cannabis crops on 20,236 bighas of government land and 7,782 bighas of private land and 83,910 poppy plants were destroyed last year. Recently, minor son of a former MLA was taken into custody along with his three friends in a drug case. The vehicle in which they were travelling was owned by the former legislator. On specific input, vehicle was intercepted in Mandi town and 500 gram of charas was seized from it. All four were taken into custody under the Narcotic Drugs and Psychotropic Substances (NDPS) Act. However, they were handed over to their parents later. Interestingly, Chief Minister Jai Ram Thakur too admitted recently that about 27 per cent youth in Himachal Pradesh are involved in drug abuse and for making the state drug free it is important to take collective steps. He said, “Drug abuse is a social vice which needs to be curbed with people’s participation”. 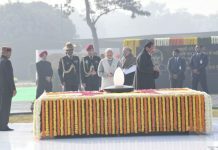 He told the Tehelka that a Special Task Force (STF) has been constituted to effectively campaign against the drug peddlers and three State Narcotics Crime Control units have been set up at Shimla, Kangra and Kullu. Many feel that neighbouring state (Punjab) is badly affected by drugs and in Himachal too its menace is a serious challenge. “Our government has adopted zero tolerance towards narcotics. Whether it’s Malana or any other area that is known for growing opium or cannabis, the Jai Ram government is currently destroying their cultivation,” said state cabinet minister Govind Singh Thakur, who represents Manali constituency in the state assembly. During the police campaign from January 19 to February 1, 27.515 kgs of charas, 215 gms of opium, 38,279 kgs of poppy husk, 55.868 kgs of ganja, 37.175 gms of heroin and 19.83 gms of cociane was siezed by police and 66 Indians and seven Nepalese were arrested by the police. This is a shocking fact that drug menace in Himachal had never been a major and serious issues in the assembly elections. Politicians also do not prefer to take the issue seriously in and outside the assembly. Senior Congress leader and an engineering graduate Rajesh Dharmani agrees that there is immence need to include this issue by the politicians in their speeches. “This is unfortunate that issue of this kind is not taken seriously. Time has come that we should save our children from drugs menace and we can play a major role in it,” he added. Inaccessible valleys and lofty mountains in the western Himalayas are areas for cultivation of cannabis and opium. They are the country’s biggest drug-producing areas with a considerable quantity finding its way to Europe. The lure of drugs and quick bucks also attracts foreigners to the largely unexplored areas of Himachal Pradesh where they have become part of unorganised drug cultivation. It is alleged that few of them even never returned to their homes. 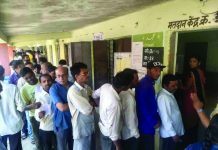 Over 2,480 villages are dotted across inaccessible areas in Kullu, Chamba, Mandi, Shimla and Sirmaur districts, known for growing cannabis and poppy cultivation. A report published recenlty said that “state was earlier known for drugs like marijuana which was grown in the hills and consumed by foreigners, however, now the availability of synthetic drugs and entry of notorious chitta (heroine) has become a cause of concern for the state’s law enforcing agencies. Apart from these, MDMA commonly known as ecstasy and liquid lysergic acid diethylamide (LSD), are also in circulation and the youngsters are hooked to a whole lot of pharmaceutical drugs like cough syrups, anti-depressants and sleep-inducing pills which are affordable on account of their low cost”. Drug smuggling has now become a multi-dimensional problem in the state as foreigners, locals and now smugglers from other states of the country resorting to barter of synthetic drugs for hashish or marijuana. It is an open secret that marijuana and hashish have been grown, consumed and smuggled out of Himachal for decades. Now, the drug mafia has grown to an enormous size and the influx of synthetic drugs and abuse of pharmaceutical drugs pose a big challenge, the report said. Himachal Watcher, an NGO in its recent report said that sadly, far more than its outstanding geography, people and culture, the tourist influx reveals a deadly narcotic nexus. An increasing number of localities are falling prey to this business and addiction. The representatives of Bombay Hemp Company had in October 2017 called on Governor Devvrat at Rajbhawan and gave a presentation on utilising Industrial Hemp as a strategic asset devoted to a reformation of agriculture and boosting its role in the economy alongwith uplifting socio-economic standards of local farmers. “The genetically modified hemp will possess only 0.3 to 1 per cent potency as compared to 3 to 4 per cent found in the currently cultivated plant. Apparently, these plants will be of no use to the drug users”. A comprehensive destruction campaign against the cultivation of opium poppy has been launched from April 15 in all the districts of the state. Giving details of the action plan being undertaken during the campaign, the Director General of Police, Sita Ram Mardi, informed that all revenue and forest officials, elected representatives of Panchayati Raj bodies, and urban local bodies are duty bound under section 47 of NDPS Act, 1985, to inform police about the illegal cultivation of cannabis and opium-poppy in their respective area of jurisdiction. They will give the information in writing to concerned SHO and to Superintendent of Police. The forest officials to patrol in their respective jurisdiction and report the illegal cultivation in their beat to the police. According to Mardi ,once illegal cultivation is detected, a joint campaign will be launched to destroy such cultivation by involving all stakeholders, enforcement agencies such as police, NCB, SNCB, CID and departments of Forests, Revenue, Panchayati Raj and Rural Development. “These agencies will submit a progress report on poppy, opium and cannabis destruction before August 15, 2018. 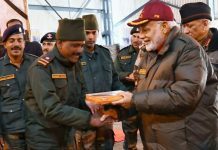 All SPs will associate with Mahila Mandals, Yuvak Mandals and other NGOs while conducting the destruction of opium poppy and cannabis crops,” he added. He told that Agriculture and Horticulture departments in coordination with Rural Development department jointly will submit a proposal to adopt alternative cash crops suitable for areas cultivating opium poppy and cannabis illegally. Training module for Nodal training Officers of Education department to sensitise students on drug abuse will be prepared. During PTA and SMC meetings, parents of students will also be sensitised on this issue. He said that counselling sessions are also being organised once in a week in educational institutions on drug abuse. “The major objective of such counselling is to reach the supplier of drugs through students,” he added. The state police chief said that all shops/dhabas located near educational institutions be kept under strict surveillance and their inspection be carried out time to time and suspicious activities around these institutions will be informed to the police. Public Relations Department will run a massive awareness programme through different methodologies including street plays on the ill effects of drug abuse. However, street play team of Ist IRBn Bangarh Una has already set into action. The health department will share publicity material of drug abuse on 104 helplines with Education and Public Relations departments for further dissemination among the public. The State Health Department has also started a De-Addiction Programme, as one of the main component of Rashtriya Kishore Swasthya Karyakram (RKSK). Under this programme, de-addiction centres have been made functional in all regional and zonal hospitals of the state. One clinical psychologists and one medical social worker are appointed in all these Centres. These clinical psychologists and medical social workers are also imparted training for this job at National Institute of Mental Health and Neuro Sciences (NIMHANS), Bangaluru. These Counsellors also conduct at least four field visits in a month in different institutions for IEC activities. 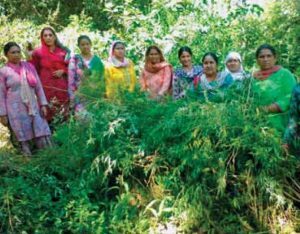 Himachal women have played a crucial role in the Bhang Ukhado Abhiyan (Hemp Destroy Campaign). More than 80 Mahila Mandals in the state are involved in this campaign. Kamla Devi, member of Mahila Mandal in Kullu district said that women are the most effected community in the society due to increasing narcotics habit among the men and male youth. She said that once caught in the habit of drugs, their husbands or sons stop taking care of the families. 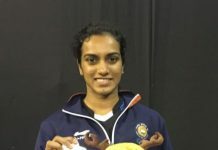 “yeh log apne liye nashe ka jugaad karne men lage rehte hain. unkee sehat ka bhee isse satyanash ho gaya hai and isse ham mahilaaon par ghar chalane ka baujh bad gaya hai (The men keep busy in managing drugs for them and do not take care of family problems. This have also destroyed their health and hence we women have to take all the work load), she added. Another member Satyawati from Sirmaur district said that women are actively participating the Bhang Ukhado Abhiyan. This has helped the police to destroy hemp in the remote areas of Kullu. Yuvak Mandals are also been roped in for the job. Previous articleFIFA World Cup 2018: French Toast But Cheers For Croatia!